No spitting and no throwing... I thought Asians liked baseball? I want to be fit. 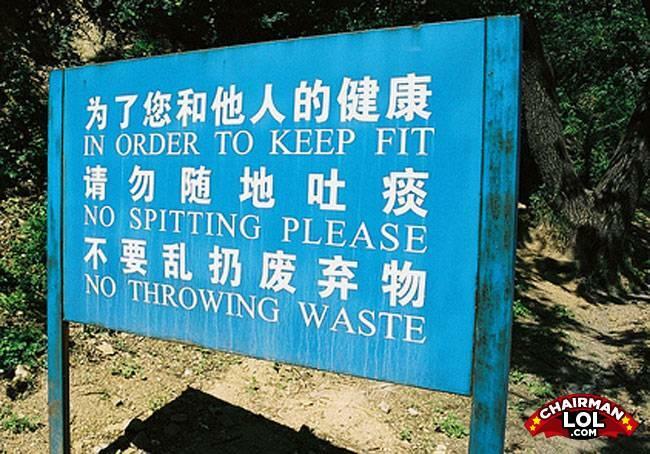 Correct translation: In order to keep you and others healthy, please do not spit everywhere and do not litter. What's really ugly and smells like a hampster?